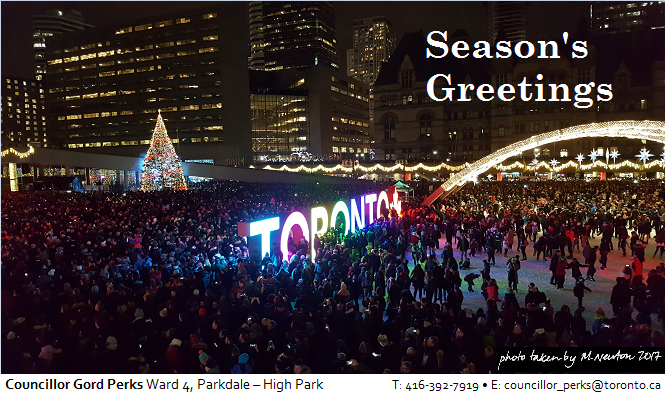 Best Wishes for the holidays and the coming new year. The Runnymede and Keele Station Easier Access Construction Updates Open House was held on Tuesday, December 11, 2018. The TTC held an open house to discuss the elevator construction plans at Runnymede and Keele stations. The TTC’s Easier Access Program makes subway stations accessible. The presentation below was shared at the open house and provides more details. I want to begin this new term of Council by thanking you for choosing me to represent you. The thought of representing over one-hundred thousand people is both humbling and daunting, but through working together we will ensure our ward and our city continues to thrive. The new configuration of large wards will force all of us to find new ways to work and engage in shaping our future. Our city needs to address housing, transit, climate change, disenfranchised youth and so much more. That being said, we are lucky to live in this wonderful city, and I have full confidence in the resilience of Torontonians. Our work together begins with good communication. I’ll be distributing this electronic update weekly and will continue to post important community news at gordperks.ca. Spending time with you will continue to be a priority for me. I will share updates on office outreach strategies as details are finalized in the weeks ahead. In the meantime, I will need to rely on you to let me know what’s happening in your neighbourhood. Please always feel welcome to call or send a note with your thoughts and concerns. Sign up for your recently elected Member of Provincial Parliament, Bhutila Karpoche’s e-newsletter at https://www.bhutilakarpoche.ca/ . As well, parents can join the TDSB Ward 7 council Facebook page at https://www.facebook.com/groups/TDSBWard7Coucil/ for more up to date information. 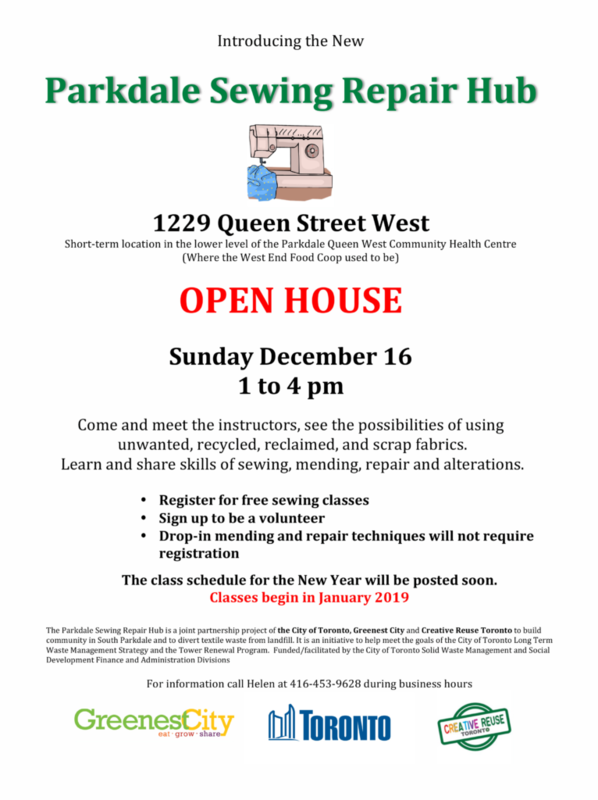 The Parkdale Sewing Repair Hub is a joint partnership project of the City of Toronto, Greenest City and Creative Reuse Toronto in an effort to divert textile waste from landfill. The open house is happening from 1 – 4 pm on Sunday, December 16, 2018 at 1229 Queen Street West . 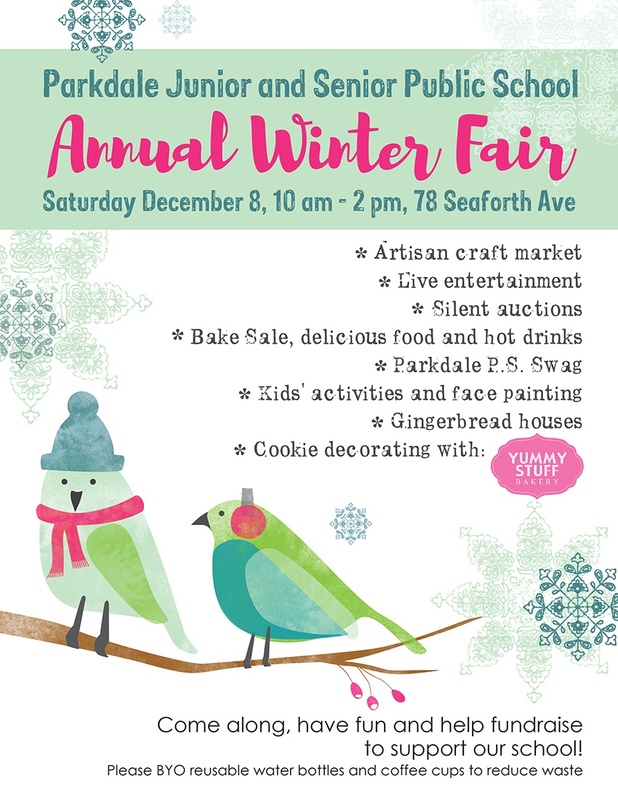 Parkdale Legal Community Services has and continues to provide free legal advice, assistance and representation to low income residents living in the Parkdale and Swansea area. They are currently being evicted by their landlord. 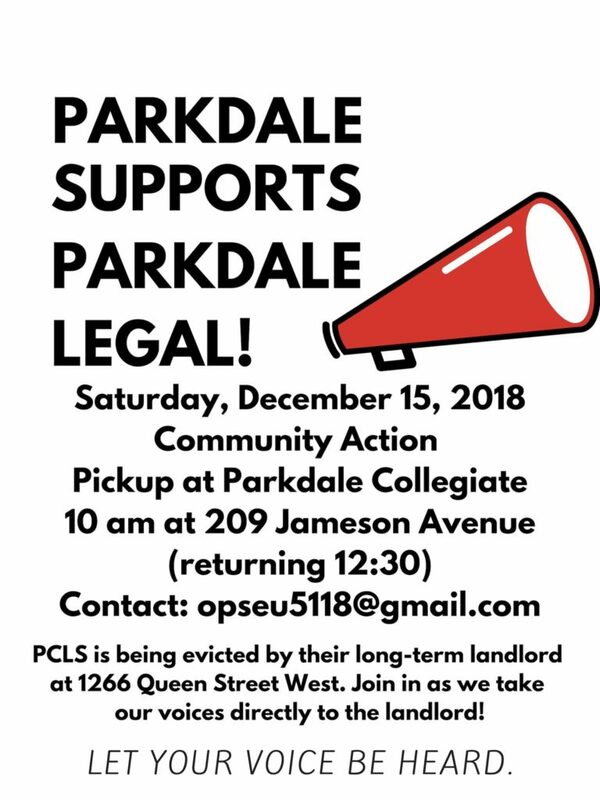 To support Parkdale Legal, join them at 10:00 am on Saturday, December 15, 2018 at Parkdale Collegiate (209 Jameson Avenue). Please share with your neighbours.